MRF PRETREADS is the most advanced precured retreading system in India. MRF forayed into retreading as far back as 1970. Today, MRF has perfected the art of recured retreading with its extensive knowledge in tyres and rubber. In the MRF PRETREADS system, the tread rubber is precured from MRF's factory in a carefully controlled environment, thereby ensuring world-class quality. 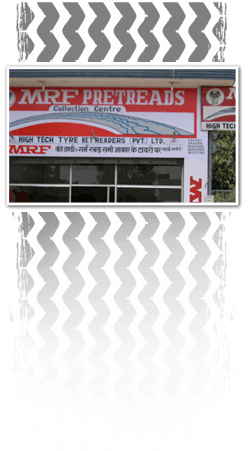 Today, MRF PRETREADS has emerged as the Mileage leader in precured retreading and also has the specialized expertise required for retreading Radial Tyres of Truck, Bus, LCV and Passenger vehicle.